An Alvin girl donated her tooth fairy money to a doughnut shop owner who was robbed. ALVIN, TX -- A girl in Alvin, Texas is paying it forward at a doughnut shop after a woman was caught on camera stealing money from a tip jar. 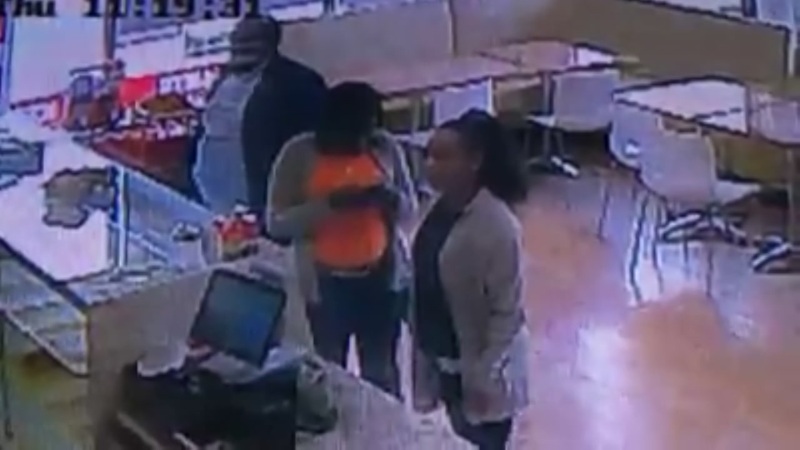 Security video from November 10 shows a woman in line reaching across the counter and taking a handful of cash from the tip jar. Daylight Donuts owner Andy Chhong shared the security video on Facebook. After that, he found something unexpected in the tip jar: a handwritten note with $4 inside. The note reads, "Dear Donut Man, my mom showed me the video of your money getting stolen. I'm sorry that happened. This is my tooth fairy money." The note was simply signed, "Sorry that happened, Chloe." An Alvin girl helped out a doughnut shop that had tips stolen. Chhong figured out who left the note after asking several customers. "She felt bad about what happened," Chhong said, "and it's just so amazing." Chhong said he plans on giving Chloe free doughnuts for life, as long as he remains the owner of the store. "She's such an amazing kid," Chhong said. "People need to, like, follow this kind of attitude."